Every dog has its day, and with these Bulldog Clips, you'll have that day every day! Organize your most important documents, cards, or anything else with these truly unique clips! They're sturdy, shiny, and packed with color. Looking to spice up your home office or school desk? Mix and match these bright colors and attach them to your documents, folders, binder, and more! It'll make your work space pop! With the amount you get per pack, you'll have all the bulldog clips you'll ever need! Bulldog clips currently come in Small (22mm) and Medium (31mm) sizes. 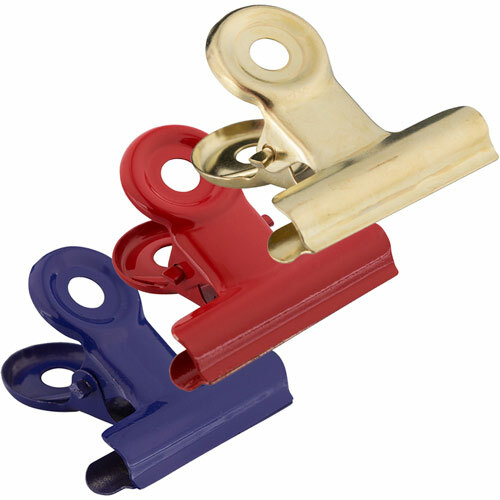 Small size clips come in packs of 25 while Medium size clips include 15 clips per pack. Available colors are Red, White, Gold, and Purple!